A British tourist was deported on Monday morning, some 14 hours after he arrived at the Ninoy Aquino International Airport (Naia) in Manila, when he refused to show his passport and reportedly tried to bribe immigration officers to allow him entry. Waving a $100 bill at immigration personnel and airport policemen at the Naia Terminal 2, the seemingly drunk 39-year-old Alex John Pagan of Birmingham, England, was whisked away to the exclusion room while his deportation papers were processed. According to Bureau of Immigration (BI) officials, Pagan arrived at 6.10pm on Sunday in a Philippine Airlines flight from Bangkok, Thailand, and was asked to present his passport and airline ticket at the immigration counter. However, he refused to do so for some reason and did not subject himself to the mandatory BI profiling. Instead Pagan tried to leave the terminal, offering airport authorities money to let him into the country. He was accosted and taken into custody by BI personnel. Immigration officials later found his passport among his belongings during a search of his baggage. They said his refusal to present his passport was sufficient ground to refuse him entry to the Philippines. His being unruly, they added, would result in his inclusion in the immigration watch list and his possible declaration as an undesirable alien banned from entering the country. When the British tourist finally sobered up on Monday morning he appeared at a loss at how he ended up at the exclusion room. He was immediately placed on PAL flight PR 730 bound for Thailand which left at 8.50am on Monday. UPDATE: In 2017 The BI deported — and sometimes blacklisted — 74 foreigners for being rude to immigration officers. 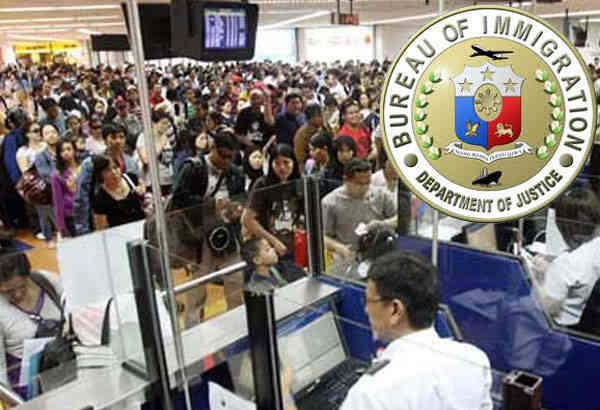 “The entry and stay of foreigners in the country is not a right but a mere privilege,” BI Commissioner Jaime Morente said.